With the bounty of summer slowly fading in the Pacific Northwest, Heartwood Provisions bartender Michael Cadden is preserving up a storm. With cherries on our heels, and peaches and nectarines just coming to an end, he hustles to turn stone fruit to syrups and jams that mix nicely into cocktails and mocktails and shrubs. While Cadden and team make use of cherries, rhubarb, and strawberries, for syrups, they also utilize what remains of the fruit after turning it into syrup. Leftover strawberries that have essentially been candied, for example, get turned into garnishes and also made into a house jam. Now, though, as fall comes on, Cadden is turning toward pears. He’s making syrup from the fruit and using it in a host of pear cocktails, mocktails, and shrubs at our downtown Seattle restaurant. He’s also happily sharing his process. 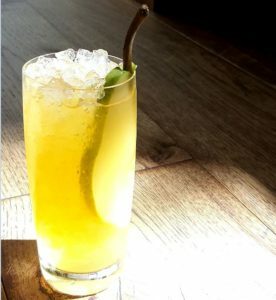 Here’s Cadden’s technique for making the pear syrup we use around the bar, and how to incorporate it into a drink. Keep some on hand: these pear cocktails and mocktails will remind you of summer long after fall has arrived. Clean and chop pears, removing seeds. Weigh out fruit and combine with an equal amount of sugar. In this case, Cadden might suggest a darker sugar, such as Demerara. Vacuum seal with food saver or place in a plastic bag or tupperware and leave to macerate. After one week, check the resulting syrup. If it needs a deeper flavor or color, reseal and let rest for another week. Strain syrup from fruit, setting aside any especially pretty candied pears which can be refrigerated and used later as a garnish. Pear syrup like this might be added to a shrub—where the acid serves as an additional preservative. 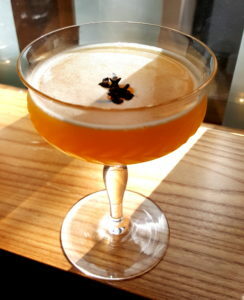 The shrub then can be used in a cocktail or a mocktail. 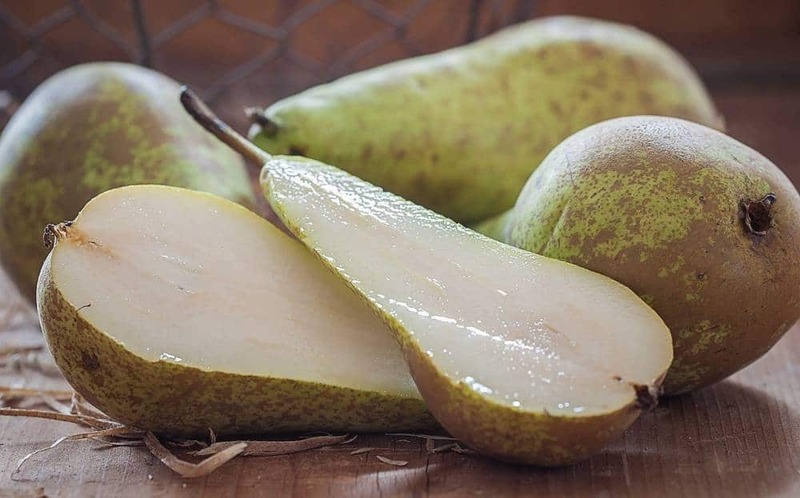 Combine two parts pears by weight with two parts sugar. Macerate for four hours at room temperature. Then, move to refrigerator and allow to macerate for another 20 hours. Remove from fridge and combine with one part cider vinegar. Return to the refrigerator and let set for another 24 hours. 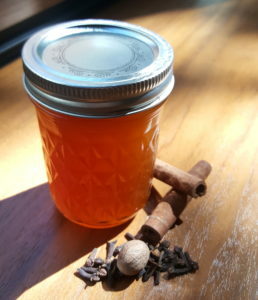 Strain syrup into a container and keep refrigerated for freshness. Retain pears for garnish or for a jam. *For this drink, we frown upon vodka because it doesn’t bring anything to the game in terms of flavor and will unbalance the cocktail. Combine all ingredients in a cocktail tin and shake. Double strain through a cocktail strainer and a fine strain into a cocktail glass. Garnish with the candied pears created from the shrub and top with grated cinnamon and nutmeg.